Elon Musk wants us all to be able to wake up in the morning and have something grand to look forward to. Well, he is single-handedly making that happen for many of us with his constant output of exciting work. This bright Monday morning we can have a look at a sizzle reel featuring crewed transport on their Dragon launch system, and more about their snazzy spacesuits. I especially like the very last scene! Another new article for your consideration, with expanded interview coverage of Elon Musk’s discussion at SXSW last weekend. 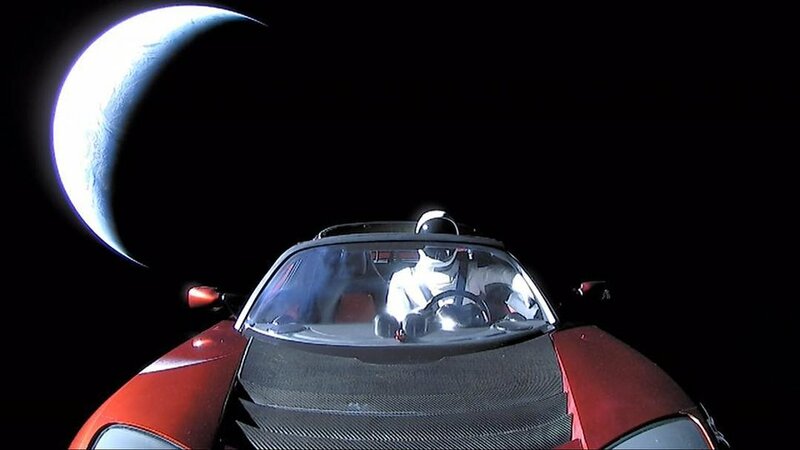 In it he expands further on his goal for sending the Tesla roadster into space, and it’s every ounce as wonderful and selfless as I expected. I am still astonished at the ability for naysayers, especially those in the scientific community, to continue to devise areas of complaint about any aspect of his work. I can attribute it only to the most tragic of sour grapes, exposing a great degree of hypocrisy and infighting in the scientific community. It is fortunate that once in a generation a visionary may emerge, and be able to secure the resources needed to drive towards a great goal with singleness of purpose. I always love reading things like that, and it fills me with optimism for the future, here on a quiet Thursday night. We are entering an exciting new time for mankind, one which feels like the space race of the 1960s, yet even more far reaching and, for the thoughtful sort, even more urgent. This article is the first in a two part series by Ilima Loomis, and you can almost feel the academics across the world, not to mention the corporate leaders, coming to realize the speed with which we may be called upon to manage a second planet, and the rewards that stand to be had for rising to that challenge.